A complaint filed in Colorado is asking the newly elected Democratic secretary of state to investigate a donation from the Sergey Brin Family Foundation to one of the state's leading liberal organizations, ProgressNow Colorado. 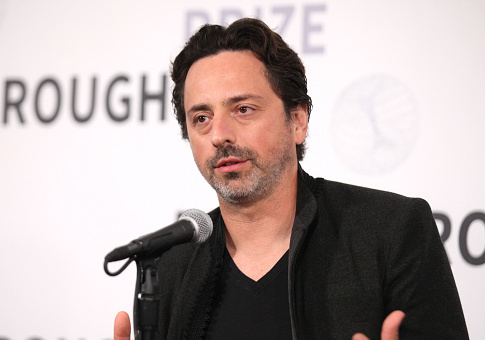 Brin is one of the co-founders of Google, and has an estimated net worth of over $50 billion. The accusations in the complaint could bruise the political left's infrastructure in the state, meaning the request for a deeper investigation is a test of Secretary of State Jena Griswold's pledge to "combat secret political spending." The donation from the Brin Family Foundation of $170,000 was originally recorded to an issue committee called Colorado Rising. The filing document shows the money was meant to support the November ballot proposition number 112, which would have greatly increased the distance that new oil and gas drills would have to be placed away from "vulnerable" infrastructure like schools and hospitals. Opponents of Prop 112 argued that the setback distances were so severe, it would amount to a de facto ban of all new oil and gas drilling in the state, and Colorado voters defeated the provision 57-43. However, the day after the first filing of the major donation, there were new filings trying to shift the donation away from Colorado Rising, and instead move it to ProgressNow Colorado, a nonprofit. The complaint argues that when ProgressNow Colorado accepted the money with a "major purpose of supporting Proposition 112," they were then "required to register and file as an issue committee" under Colorado law, but never did. If Secretary Griswold investigates and determines that ProgressNow Colorado did act as an issue committee, the nonprofit could be fined and might also have to file more disclosures about money they received and spent leading up to the election, per the request of the complaint. There are implications for the Brin Foundation as well. Money that goes into a charitable foundation is tax deductible, and strict rules are in place for how the money can be spent. Generally speaking, while some nonpartisan political activity like voter registration drives is acceptable, straightforward political giving to candidates or issues on a ballot are supposed to be off limits. For example, the IRS fined Donald Trump's charitable foundation in 2016 for making a $25,000 political donation that supported a Florida candidate. Bloomberg first reported on the original Brin contribution days before the election, hyping the donation as a political battle of Google founder versus Denver football hero John Elway, who was urging the public to vote no in advertisements. The report also captured the confusion of the moment. "Alphabet Inc. founder Sergey Brin's foundation was briefly listed earlier this week among donors backing the [Prop 112] plan—with an ‘in kind' gift for digital media, although the filing was later corrected," the Bloomberg report from Oct. 29, 2018, said. "Brin's foundation, instead, donated the service to general operations for ProgressNow Colorado, a communication firm that supports local progressive causes, but the gift wasn't directed to activity around Proposition 112." "There was a huge misunderstanding on the part of Colorado Rising that led to an erroneous campaign finance filing with the Secretary of State's office," ProgressNow Colorado's executive director Ian Silverii told Bloomberg news. The complaint, brought by a former staffer for Colorado senate Republicans, does not specifically allege any impropriety about political giving by a tax exempt foundation like Brin’s because such a matter would properly be the jurisdiction of the IRS. But it does open up the prospect that the whole affair could run against IRS rules. The lawyer for the complainant is former Republican secretary of state Scott Gessler, who the local media once dubbed the "honey badger" for his willingness to engage in political battles. "It looks like the Foundation gave money to ProgressNow Colorado, specifically to help pass Proposition 112," Gessler told the Washington Free Beacon. "But instead of reporting as an issue committee like it should have, ProgressNow Colorado claimed it received an in-kind contribution, which the issue committee [Colorado Rising] dutifully reports. "Then everyone freaks out, because the Brin Foundation shows up on a report. So ProgressNow Colorado and the issue committee concoct three new versions of the report, in order to cover up the original contribution and protect the Brin Foundation." The management company that oversees the Brin Foundation, Pacific Management Services originally told the Free Beacon they intended to answer a request for comment, but then provided no further communication. A request for comment from ProgressNow Colorado was not returned. About a week after the original series of filings on the donation, the lawyer for Colorado Rising submitted a letter to the secretary of state, yet again attempting to explain the error, but which also appeared to hint at the possible IRS liabilities. "In order to prevent any adverse impacts to the [Brin] Foundation due to Colorado Rising's reporting mistake, please allow this letter to serve as a request to" change the reported source of the donations, wrote Martha Tierney, of Denver law firm Tierney Lawrence. That law firm is notable because in the fall of 2018, the Daily Beast‘s Lachlan Markay reported that Tierney Lawrence was the firm behind a number of shell companies that were distributing head-scratching, sometimes weirdly sexualized Facebook ads to boost various Democrats and to suppress enthusiasm for Republicans. Requests for comment to Tierney, and to her client Colorado Rising, were not returned. Secretary of State Jena Griswold, who ousted incumbent Republican Wayne Williams in a statewide blue wave this November, has been vocal about "secret political spending," a part of her policy agenda she outlined shortly after taking office this month. "To put our democracy back in the hands of everyday Coloradans, we should ensure that every citizen knows who is trying to influence their vote and how they are doing it," Griswold wrote. "We will work to shine light on secret political spending through stronger disclosure, by addressing coordination between candidates and special interests, and by strengthening our enforcement and oversight of all who engage in political activity in our state." Griswold's office also did not return requests for comment from the Free Beacon. This entry was posted in Issues and tagged Colorado, Democratic Donors, Google. Bookmark the permalink.